My day started as per any business day. A preparation for a lunch meeting in the heart of Kuala Lumpur. As the wise men of the past would say. Carpe Diem. Or the youth of the day would say. YOLO. I decided to try something different today. I would order cabs using apps. And bellow is my exprience. I fired up the Myteksi app. I couldn’t find my the road I was located on. No matter how specified I was. The app Kept on suggesting I the available choice were the streets near my street. I decided to just choose the street next to mine and inform the driver later on. I activated the request and waited for a driver to accept my job.Very quickly within 1 minute a driver confirm it. He called me in about 5 minutes later having arrived at the street behind me. I corrected him and he came over to pick me up. He was a pleasant Indian gentlemen in he’s mid 30s. Born and Bred in KL. We got on rather chummy. Our conversation went from how nice it is that taxi app has improve the income of Taxi Drivers to he’s work ethics. He’s daily car and taxi rental cost is about $50. He will work will he has made $200 before he ends the days. No matter how long it takes. He was a hard working chap. And pleasant person to have a conversation with. He told me some insider info about the taxi app industry. For instance for MyTeksi. A driver could buy a $300 Samsung Galaxy Y phone for $150. Plus a $150 credit. $1 is deducted from the taxi driver’s credit account every time there’s a successful taxi booking via the app.That means the phone probably only half price to the driver. And that EasyTaxi actually gives $10 to the driver every time a client is successfully made a booking. Which actualy doesn’t made sense. But I think he was trying to insinuate that EasyTaxi is muscling it’s way into the local industry. The meter came up to $20. And I had to pay $2 extra for a booking fee as mandated by the Government. So on the way back, I fired up the EasyTaxi App. It was not able to located my location as well. In fact it put me quite a distance away. And the poor taxi driver had to drive a long way to find me, after I have corrected him. I thanked him profusely for being committed towards picking me up. It took us about 30 minutes before the taxi found me. Thank you EasyTaxi! But to be fair, myTeksi probably wouldn’t have fared well too. Since it didn’t have a smart interface for locating location. The driver was a nice Malay Chap from Kota Bharu. He was in he’s early or mid 30s. We again had a pleasant conversation about the apps and how it improve the Taxi Driver’s income. He was actually using both apps. To improve he’s chances of getting a fare quickly. However he’s impression was that easyTaxi found him longer distance fares. The journey cost be $24. $2 for government booking fee and $1 for toll. Both apps seems to be equal in terms of functionality and service. However myTeksi’s interface was more advance. It didn’t feel like a rush job compare to EasyTaxi. I like the fact that both apps has improve the income for taxi driver. As well as the waiting time and safety for travelers. 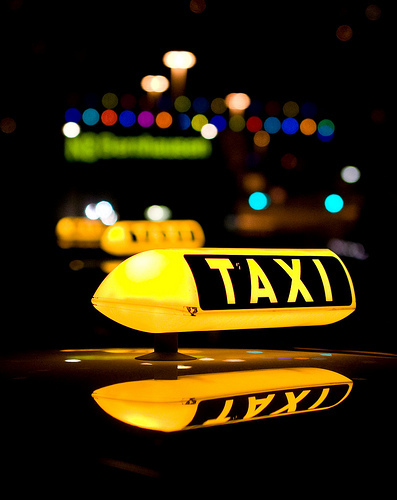 In my working life, I have often used taxis. And very often forced to go off meters and pay exorbitant fees. Moreover, I am pissed when hearing about Tourist getting ripped off and getting a bad impression of Malaysians. According to posts on gogreentaxisltd.co.uk, our Taxi service was rated as the world’s worst Top 3rd ish. I’m very grateful for this new age of “crowd source” Taxi services. So The Taxi Apps actually take business away from the road side extorting taxis and give it to the hardworking taxi drivers. Another impression I got, was that the folks who were hardworking and used the apps. Were Pleasant and nice folks. Unlike the bitter and angry drivers I encounter who extort money from me, by insisting on not going on the meter. My other beef is with the Government mandated $2 booking fee. This is a discouragement for people who want to book taxis. The government should encourage people to use Taxis, since our public transportation has a bad coverage. And our peak traffic jams are horrible. In many places, people can’t get a bus even within a 3km radius in Petaling Jaya. They have to take a taxi or drive to a LRT station. Since they are already driving, they would just drive to their destination. And that would add to the jam or lack of parking spaces. It just seems the government is interested to harvest taxes to feed its huge civil service than to do anything productive. Having said all of that. I’m eager to sample the UBER Car service. It is a service whereby ordinary but verified people offer their service as a driver. Unlike the taxi drivers who have to pay $50 to $100 a day to the Taxi Companies, who through their connections are able to get taxi permits en-massed . Before the taxi drivers can actually make profit. I would love the idea of the taxi drivers not paying any money per day to the “parasitic” companies and make money the moment they pick up their first passenger of the day. This entry was posted in Technology and tagged easytaxi, grabtaxi, myteksi, smartphone, taxi, uber by TheGoodGoodGuy. Bookmark the permalink.